Create With Me: Happy Hanukkah! Happy Hanukkah for all those celebrating this holiday that starts tonight! I work for 3 surgeons who celebrate and each year I look for blue baskets (I get them at my local The Christmas Tree Shop - I start looking in the summer!) and I fill them with home made goodies. 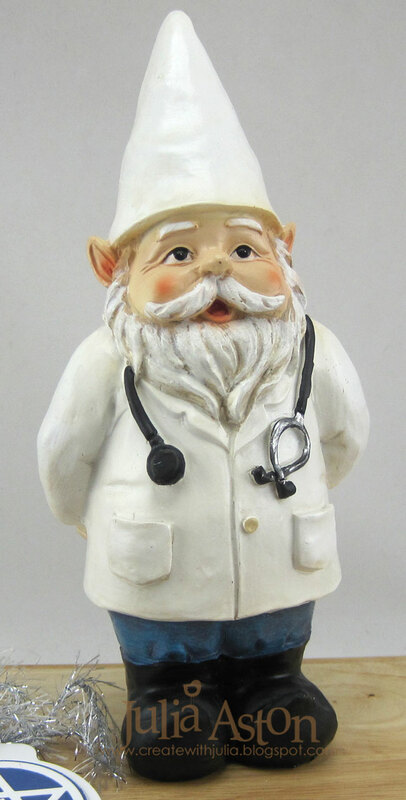 This year, I also found a fun gift to put inside - a Doctor Gnome! 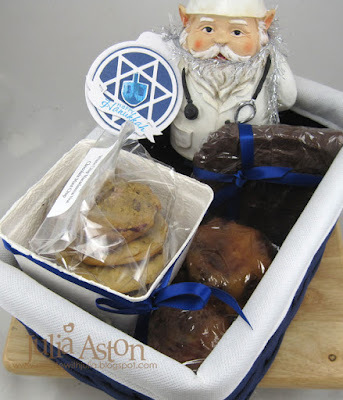 There's a package of cranberry oatmeal, macadamia nut white chip and chocolate mint cookies, Pecan Rum cakes and fudge tucked inside the pretty blue basket. 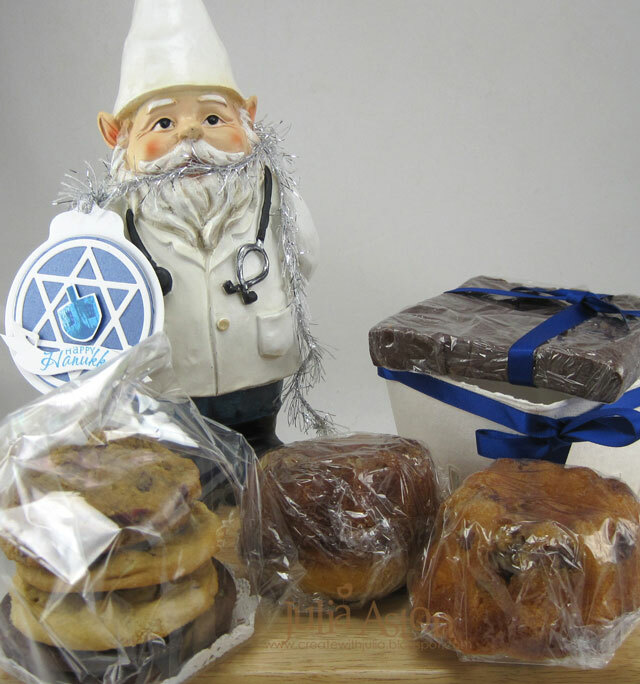 They were all very appreciative of their Hanukkah gifts - and they even liked the Doctor Gnomes! If you'd like to see the things I've created for Hanukkah in the past - click here. LOOOOVE the Doc Gnome Julia! :) What sweet and thoughtful treats! Fabulous gift...you are so stinkin' creative!